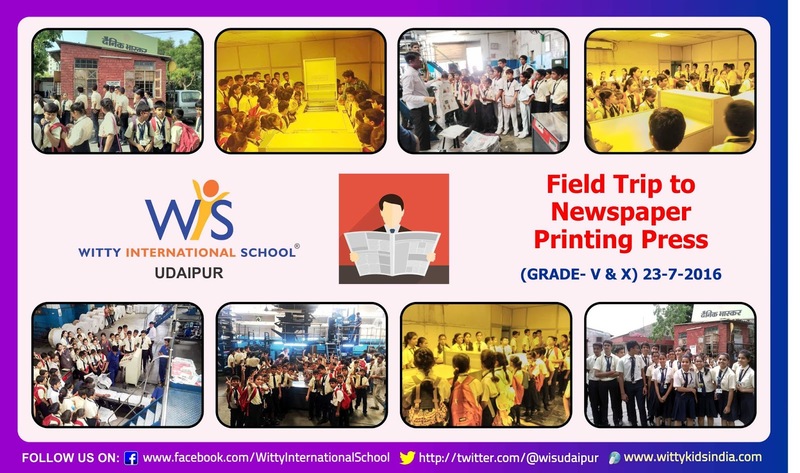 July 23, 2016 Wittians of Grade V and X visited a Printing Press of Dainik Bhaskar located in Ayaad region. Students were shown different machines like CTP i.e. Computer to Plate machine. They saw how the newspapers are printed. 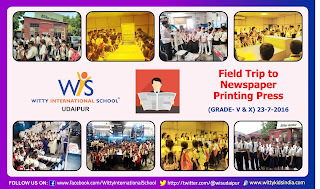 Students also observed that the growth of science has brought tremendous changes in the printing technology. Wittians met the Event Manager Mr. Hitesh Joshi and production staff who solved their several queries. This was not only a new experience for the students but they also learnt a lot! !